Ο δεύτερος τόμος Cyborg Rebirth από την DC, περιλαμβάνει τα τεύχη 6 έως 13. 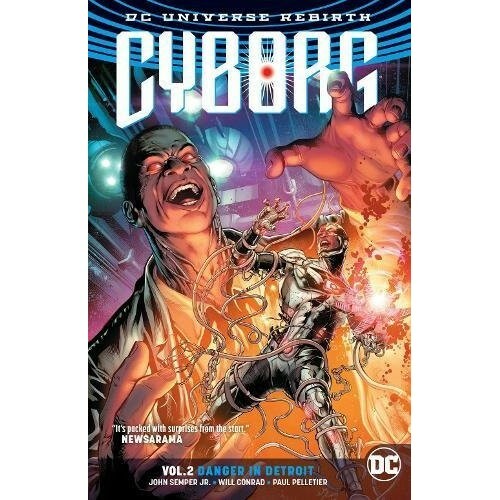 CYBORG VOL. 2: DANGER IN DETROIT is a thrilling series by animation writer John Semper Jr. (Spider-Man: The Animated Series) and artists Will Conrad (NIGHTWING) and Paul Pelletier (AQUAMAN). Cyborg is the Justice League’s most high-tech hero, but can he withstand an attack by another of his brilliant father’s creations? 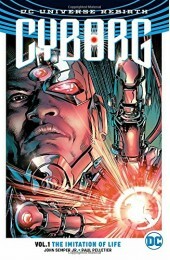 Captured by those he thought he could trust, Cyborg discovers a covert plot to use alien technology to start a world war. And when he winds up imprisoned in the heart of S.T.A.R. 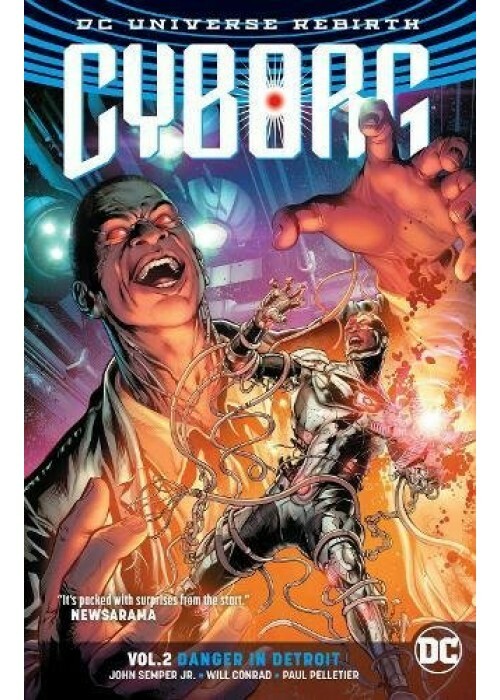 Labs, an unorthodox escape plan brings him face-to-face with Anomaly, a human-machine hybrid created by Cyborg’s father Silas years before Vic Stone became Cyborg! Only the now-missing Silas Stone holds the answers to the puzzle Anomaly presents, but before Cyborg can rescue his father, he’ll first have to free the city of Detroit from the villainy of the bizarre Lord of the Rats! Rocketing from the pages of DC REBIRTH: JUSTICE LEAGUE, CYBORG VOL. 2 collects issues #6-13.